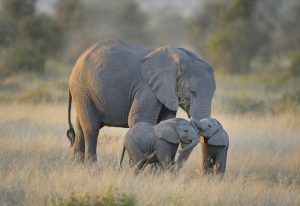 Like us humans, animals also go to great extent protecting their children. From travelling miles for food to starving to death, there are a few unexpected parental systems practiced in the animal kingdom. Check out how animals ensure that their children survive in the wild. Aside from the real mothers of the calves, young female elephants who haven’t had babies yet act as mother figure to baby elephants. Called ‘allomothers,’ their task is beneficial to everyone involved: the mother can produce better milk for having enough rest, the calves receive guidance and protection and the allomothers get parenting training before themselves bear their own child. 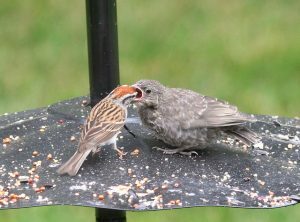 Mother cowbirds raise their children by giving them away to other birds. When a female cowbird is ready to lay eggs, she’ll deposit them in another bird’s nest. However, she does not abandon them. The mother stays close to her eggs to ensure that the new parent takes care of them, or else she’ll attack the bird’s nest. How far would you go to protect your offspring? Would you starve to death just to make sure they survive? Well, female octopuses do. On average, a female octopus lays a minimum of 20,000 eggs at once. To ensure they thrive, she will group the eggs based on their shapes, sizes and potential of survival. The mother will then dedicate the next few months of her life protecting them from predators and ensuring they receive enough oxygen by pushing the water currents to her eggs. Because she’s so busy keeping her offspring alive, she often stresses herself and ends up dying shortly after the eggs hatch. While it is how good parenting should be, it’s quite weird to expect it from animals. 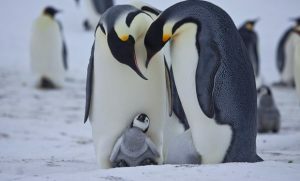 After giving birth, the female penguin leaves her baby to the father to replenish her health at the sea. For two months, the father carries the egg on his feet and forgoes eating until the mother returns. When she does, she will regurgitate some of the food she has taken for her baby, while the father goes out at the sea, providing food when he returns. Animals are beautiful creatures and are unique in their own way. Just like humans, they too have their ways of raising their children. Although we don’t agree on some of their parenting practices, that’s how nature works and how the ecosystem keeps its balance.